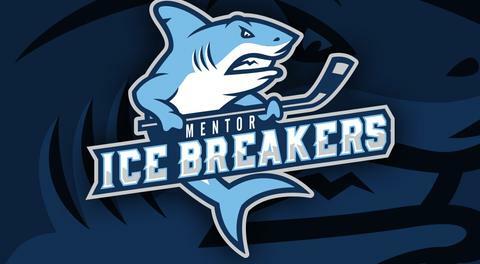 Mentor, OH – A two-goal rally midway through the third period lifted the visiting Port Huron Prowlers to a 4-3 victory over the Mentor Ice Breakers on Friday night at Mentor Civic Ice Arena. 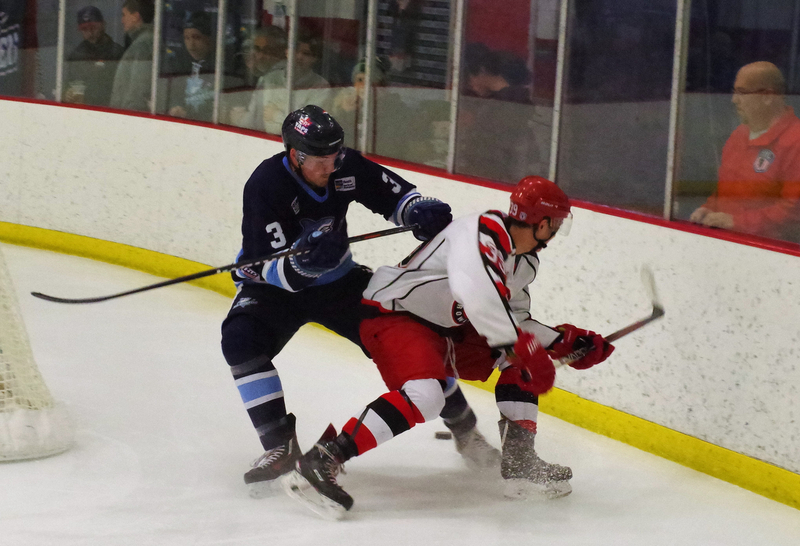 The game marked the opening contest of a three-in-three weekend series that will continue tomorrow night in Mentor before wrapping up on Sunday afternoon in Port Huron. After the Prowlers killed off a couple of Ice Breakers power plays through the first half of the opening frame, Shea Carey opened the scoring with a beautiful 2-on-1 passing play with Prowlers leading scorer Dalton Jay, who fed Carey with a cross-crease pass for an easy one-time finish. Other than Carey’s goal, both Mentor’s Derek Moser and Port Huron’s Cody Karpinski held strong through one period of play. The floodgates opened over the first seven minutes of the second period as the two clubs combined for four goals. Matt Kadolph started things off with a backhander that trickled through the pads of Karpinski before Justin Portillo picked up a loose puck that neither team could track down and fired it past Moser at 3:33 for his seventh of the year. Kadolph struck back exactly one minute after Portillo’s tally to tie things back up at 2-2 off assists from linemates Patrick Porkka and Parker Moskal. The Ice Breakers took their first lead of the night at 6:46 when Joe Swenson fired a shot from the right point that beat Karpinski high to the glove side. Porkka and Kadolph both factored in with assists on what would prove to be Mentor’s final goal of the night. After a back-and-forth beginning to the third period, momentum shifted in the Prowlers’ favor after back-to-back goals from Matt Robertson and Matt Graham within a span of 42 seconds midway through the final frame gave Port Huron a 4-3 lead. Shortly after, Moskal received a 10-minute misconduct penalty for verbal abuse of an official, effectively ending his night with less than eight minutes to go in regulation. 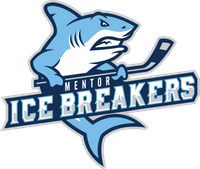 Moskal’s line, which featured himself as well as Kadolph and Porkka, had produced all three Ice Breakers goals, and the penalty threw off some of Mentor’s chemistry. Still, the Ice Breakers had multiple chances to tie things up during a couple of power play chances over the final 10 minutes of the game, but the Prowlers’ penalty kill unit continued a strong night that saw it kill off all seven Ice Breakers power plays. For Mentor, Kadolph had a three-point night with a pair of goals and an assist while Moskal and Porkka each dished out a pair of assists. Moser took the loss between the pipes after making 29 saves while his counterpart, Karpinski, moved his record to 10-11-0 following a 37-save effort. Port Huron’s Carey added a goal and an assist while Jay collected three assists. Robertson continued his recent tear with a multi-point performance while Graham notched two points of his own with a goal and a helper. These two teams are back in action tomorrow night from Mentor Civic Ice Arena.